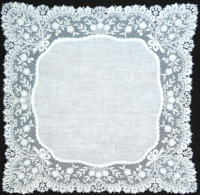 Known throughout history as "The Queen's Lace" this Alencon style lace handkerchief is made in Switzerland on soft cotton. 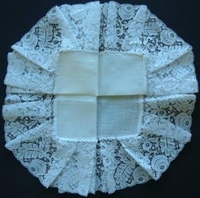 Measures approx 12" square. 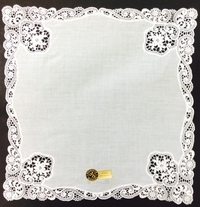 It is a net type lace with embroidery, sometimes called "Reembroidered Lace". 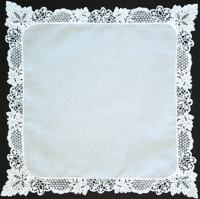 A classic for any occasion. 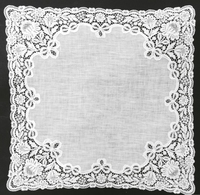 An Exquisite example of Guipure lace. 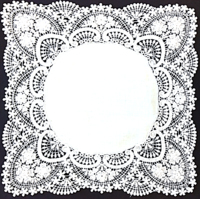 This ancient technique of lace making is getting more and more difficult to produce in Switzerland. 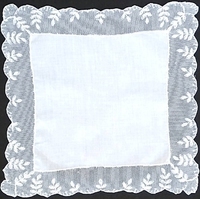 A soft Pure Linen center only adds to this classic. 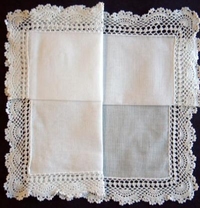 Measure 11-1/2 inches square approx. Style No. 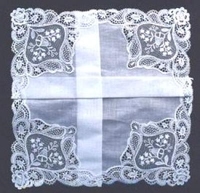 1711, $180.00 ea. 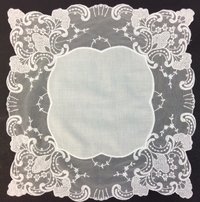 A Fine Quality Swiss Guipure lace. These are getting harder to find as time goes on. 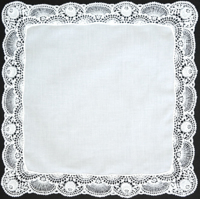 This example is a Soft Cotton Center, Made in Switzerland with soft cotton lace. 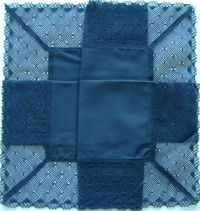 Measure Approx 11 inches square. Style No. 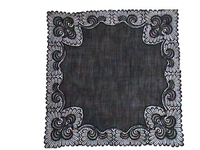 1724W $90.00 ea. 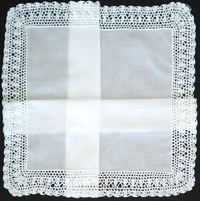 All cotton made in Switzerland. 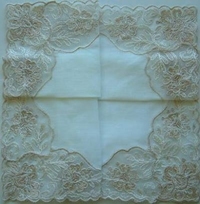 Wedding Rings and Lace. 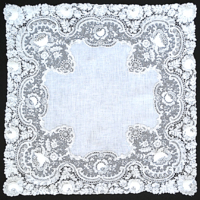 This handkerchief has been in our line since our early beginnings. 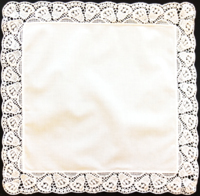 It has a cotton and linen center and cotton crocheted lace. 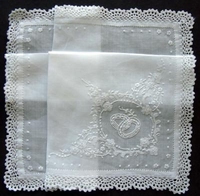 The embroidered wedding rings make it a perfect bride's handkerchief. 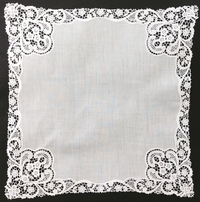 Irish linen handkerchief with classic bell lace. 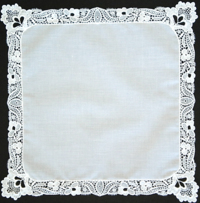 A nice gift for the bride or for the whole wedding party. 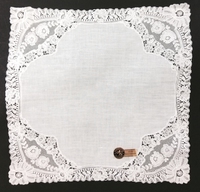 All cotton bell and lily of the valley lace. 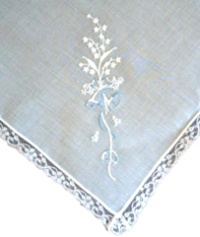 One of our finest Swiss Laces made with a wedding theme.